15 Most Popular and Successful Entrepreneurs in India – Best of India! In India, the term entrepreneur got highlighted with augmentation of online business in late 90’s and early 2000’s. It all started when abruptly in European/Western countries a new businessman took a risk of an establishing successful start-up with a lot of fame and growth opportunities. This new era was of “entrepreneurs”, where famous name like Larry Page, Steve Job, Bill Gates, Mark Zuckerberg, etc. emerged with a vision to do something with a combination of Software/ Hardware in this online marketplace. But one question we all have in our mind that initially who helped entrepreneurs? How they got so much success in such a short time? The answer is very simple. Fund Raising! Yes, with good knowledge of their business they impressed their investor and raised a good amount of funds to be able to establish their empire much stronger. New Indian entrepreneurs play a key role in uplifting our national economic development. They are not only giving a job to unemployed youth of India but also providing a place of opportunities to learn and be like them. Some entrepreneurs started giving huge appraisal to their employees that they never look back and happily see financial growth and success in their careers (thereby leading the country’s youth). 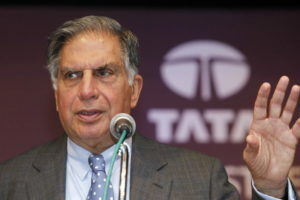 One of the most renowned businessmen all over the World, Mr Ratan Tata is the chairman of the TATA GROUP since 1991. The several companies that are involved in this group are Tata Consultancy Services, Tata Motors, Tata Chemicals, Tata Tele Services etc. He is also linked with numerous organisations within and outside India. Being associated with a chairman of two of number one private-sector-promoted philanthropic trusts for India he is a key personnel in Prime Minister’s Industry and Trade Council. Mr. Tata is known to be the president of the Court of Indian Institute of Science. He is acting as one of the trustees of Cornell University and the University of South California. Alcoa is the company where currently a member of the Board of Director’s, and besides he is on the advisory committee of JP Morgan Chase, Rolls-Royce, Mitsubishi Corporation etc. He is one of the winners of the Padma Vibhusan in the year 2008 and continues to inspire young and talented entrepreneurs in future years to come. Mr. Tata has brought a new vision to show the way and has completely changed the perspective of entrepreneurship. 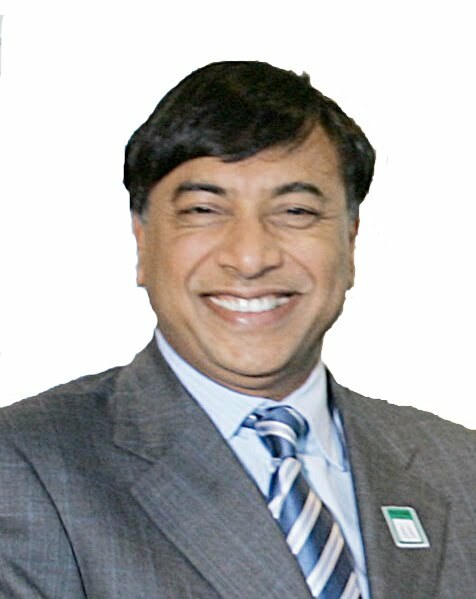 Lakshmi Mittal is perhaps the greatest example of how a person can achieve exceptional success even if he faces heavy struggle and hindrances at the early stages of his life. His birthplace was in a village where at that time there were no basic facilities like water, electricity etc. After that their family migrated to Calcutta where Mohan Lal Mittal, his father build a mini steel factory which was not popular in the earlier days but as a smart business owner, with an ability to determine threats to his own benefits, he has essentially made his own brand name in the globe. With his father’s support, he established a bigger steel factory “Ispat Indo” and that fetched him grand results. His biggest and perhaps the most significant strength was taking over those businesses which were running into huge losses and converting them into highly profitable machines. In the year 1989, he acquired a firm in Trinidad and Tobago that was suffering heavy losses and turned it into profit-making one. Under him, the steel firm Ispat Indo transferred into Ispat International which was later on joined hands with International Steel Group. This huge steel conglomerate has a net worth of approximately 22 million USD and it runs across 14 countries. Along with this, Mittal’s business sector have varied in shipping and delivery, coal, electrical power, oil companies. But it has not been all that smooth sailing for him, his steel factory was accused of non-friendly to the environment and unhealthy for labour work for which he had to shut his business down temporarily but he overcame all odds to become a legendary entrepreneur. He was awarded the “100 most influential people of the world” by Times . Mr. Premji is a famous business personnel who acts as the chairperson of Wipro Ltd. which happens to be currently amongst the largest IT-enabled services enterprise on the planet. 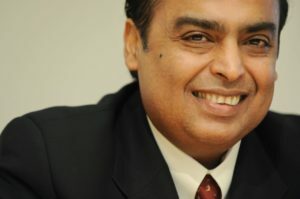 He took over the business when he was only 21 years old, like Reliance it dealt only in a single sector initially that is the production of hydrogenated oil but later on gradually it spread its business that included light bulbs, toilet accessories, products related to hair care, bakery etc. In the year 1977, the business incorporated its name to “Wipro”. Later on, he took over the business into the computer hardware and software market and excelled in this business as well. Mr. Premji’s biggest achievement is that his company was able to build quality software at a cheap rate than compared to his foreign counterparts and thereby was able to export them to the states. In order to achieve these desired results, he employed the best possible engineers to whom he provided training of the highest quality and infrastructure to fine tune their capabilities. 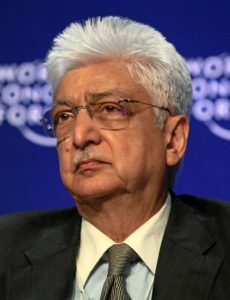 In the year 1990 “Wipro” gained tremendous heights as a result of which he was deservingly awarded one of the Greatest Entrepreneurs of all time by the “Business Week” and no wonder he still exists as one of the millionaires businessmen on earth. Formerly known as Nagavara Ramarao Narayana Murthy is known as one of the most influential and successful entrepreneurs that India has ever produced. He is the C.E.O and the founder of one of the leading IT companies “Infosys Ltd.” that is a service provider for business consultation as well as outsourcing services along with Information Technology. Mr Murthy as a young business entrepreneur always dreamt of providing job opportunities to the talented youngster’s as he believed that opportunities creates success stories. Therefore with this vision in mind, he along half dozen other software programs professionals founded “Infosys Ltd.” Strangely enough, at the time of starting this business, he had a financial capital worth Rs.10,000/- only. However, with his great dedication and hard-work, the company grew to be one of the leading IT companies in India. 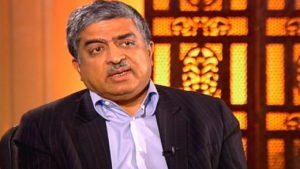 He led Infosys to be the 1st Indian Company that was listed on the Nasdaq with a revenue of one million dollars. This business tycoon was on the panel of company directors of DBS Bank, Unilever, and ICICI as well. As a philanthropic, he functions on the consultative boards plus councils with several bodies like Cornell University, The Ford Foundation, the UN Framework and the Indo-British co-ordination. He was also the deserving winner of the Padma Shri award for his industrial contributions. Currently, he is the 44th wealthiest person on the planet. Perhaps he is the most remarkable example of a very young entrepreneur making a gigantic leap in his career without having significant experience. He still stands out as an example setter for those who are trying to cement their feet in the business sector. Uday Kotak is one of few businessman who has a net worth of about 7.6 billion dollars. 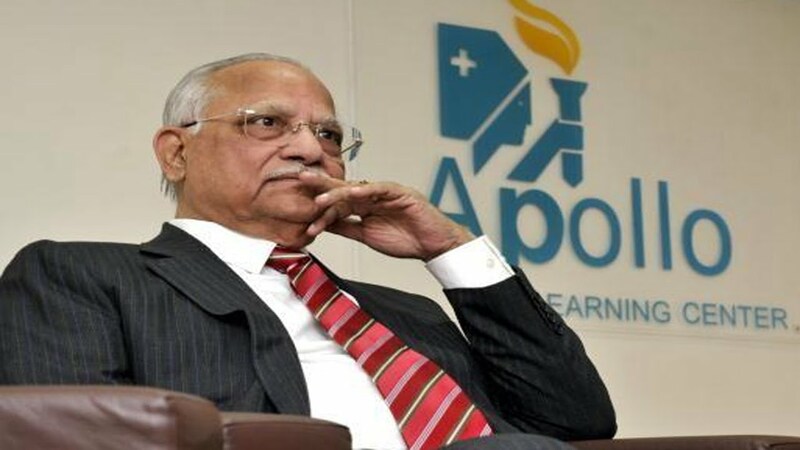 He is the founder of the Kotak Mahindra Bank which was nationalized by the Reserve Bank of India in the year 2003. This was possible because he created a brand name of his own in the banking sector. It was at the same time that he was awarded as the youngest and talented “Entrepreneur of the Year” Not only that, Mr. Kotak is the owner of several other companies like Kotak Mahindra Life Insurance, Kotak Securities, Kotak Prime, Kotak Capital and so on. As a young and promising entrepreneur he was ably supported by Anand Mahindra financially hence the first business venture was named as Kotak Mahindra. Initially his journey began with automobile finance and gradually became the owner of one of India’s premier retail online marketing networks,”FICOM”.He also designed a Pension Account under the Brand new Pension Program also created the India Growth Fund. However, initially Kotak’s journey was not such a smooth sailing, he had to face several challenges in business but due to his exceptional entrepreneurial abilities he did not take long to recover through such situations and hence obtained his place as the best Indian bank of their era. 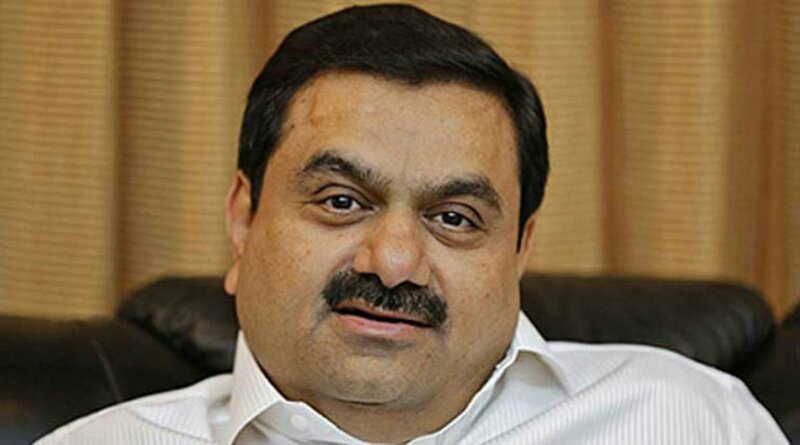 Gautam Adani is a gigantic figure in Indian business structure who created the Adani Group that deals in several sectors like trading in coal, coal mining, exploring oil and gas, the ports, generating power etc. In the initial stages of his career Mr. Adani tried his luck in the broking of diamond which fetched him huge profits and he soon became a millionaire. His family owned a textile business but he believed that he is born to be a entrepreneur and he started his own business of his own that initially started in trading with the foreign trade but later flourished into sectors of development of infrastructure for Agriculture, cooking oil etc and it various other business. 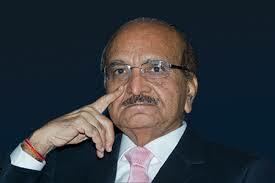 He was the pioneer in stamping the authority of Adani Group as a leading Industry in India. His success stories often draws comparisons with the likes of Dhirubhai Ambani as the First Generation Entrepreneurs. Adani Group has grown to such heights that it is now the largest personalized power generator and also the largest sized solar energy producer for India. The Adani Port is India’s first port-based special economic zone. Mr. Adani is also involved in works related to social service. His company joined hands with IndiaSkills to build a training center in the city of Gujarat to offer programs in retail outlet, security, development and technological innovation. His devotion and dedication towards his work earned Adani Group the 3rd Annual Greentech CSR Award in the year 2014. 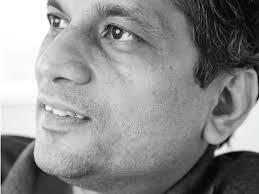 He is founder of the Zoho Corp. which was earlier known as the AdvetNet.Inc. In the beginning years, AdvetNet was not so popularly known to people but with the passage of time it transformed itself from just mere network equipment sellers to revolutionary online programs and applications provider. Along with his quality and reliability, dedication as well as affinity in the direction of numbers, it really is his capability to channel the actual efforts associated with his labour force to the achieve optimum possible advantage of his business which assists him in attaining milestones he has achieved. The success story of Mr. Vembu lies in the fact that he started from zero level and today his company can give a tough competition to the likes Microsoft, Google, Oracle etc. He founded the company jointly with Tony Thomas it is offering Software’s as a service(SAAS) products to various companies all over the world. Mr.Vembu did a commendable job since he did not take any external investment but a little help from relatives. At first Sridhar’s primary focus was mainly on marketing the particular technology the business was offering, and commenced approaching consumers in the districts of California.This venture was very successful and gradually he along with Tony Thomas spread out to be a decent market in Japan. Their business, currently has swelled up to about more than 100 engineers in India, approx 7 people in the states. The company’s net worth is about ten million dollars. 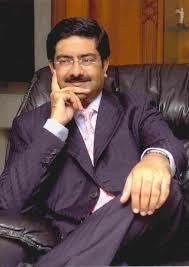 One of the all-time-great entrepreneurs India has ever produced Kumar Mangalam Birla is the chairperson of the Aditya Birla Group which is one of the largest business sectors in India. 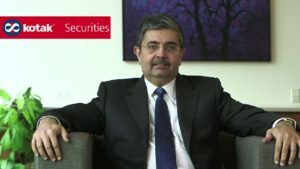 At the time he took over the Aditya Birla Group, he was criticized by one and all due to his inexperience in handling a business, which at that time, already swelled in multiple proportions that had markets in textiles, garments, cements, fertilizers, aluminium and so on.However, he proved everyone wrong with distinct business qualities. His visionary policies made a remarkable change in the organization running process. Mr. Birla further strengthened the companies roots firmly by capturing markets of Telecom, BPO, Software and other areas too. He is currently the owner of an MNC which has already spread over its functions in more than 40 countries in about six continents. He is also the chairman of the Securities and Exchange Board of India(SEBI). This iconic person was privileged to be one of the Central Board of Directors of the RBI. Apart from the entrepreneurial skills he has also participated in several social causes which mainly involves working towards the development of the backward sections of the society not only in India but other countries in the world. As a result of his contributions he has received awards which includes The Business Leader of the Year’ by The Economic Times and ‘Business Man of the Year’ in the year 2003 and ‘Entrepreneur of the Decade Award in 2009. K.M.Birla is looked upon as a Young World figurehead. 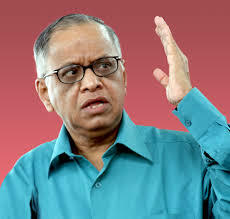 This eminent personality is also a co-founder of “Infosys” along with Mr. Narayan Murty. He is significant example of a person who achieved great heights in life because he was meritorious. After completing his education in IT he decided to start his own business in the same field where he has mastered this art. It was because his sheer hard-work and brain,and off course with the guidance of Mr. Murthy he made “Infosys” flourish far and wide. He has been acting in several positions at the same company, as in President, managing director in more than a century. He is also acting as a chairperson in Unique Identification Authority of India(UDAI). 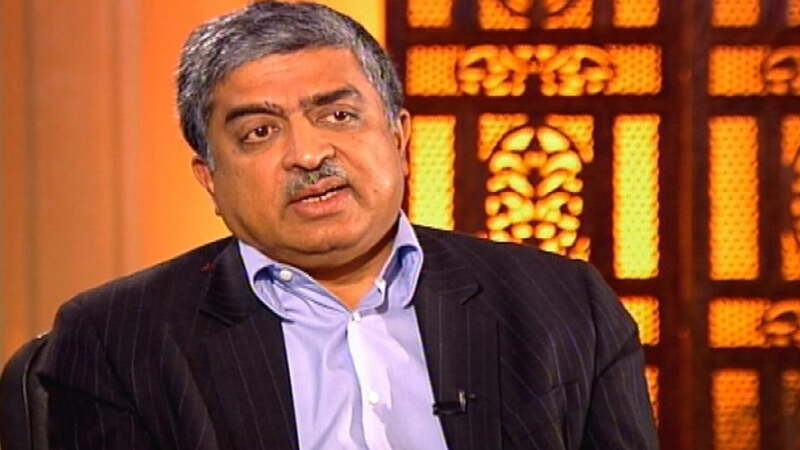 Nandan is also in the governing body of an Indian advisory group that looks into know-how part of five huge economical industry projects and also is acting as a President in one of the oldest research institutes of India, ”The National Council of Applied Economic Research” . Nandan has also contributed towards various social causes like medical and learning for the underdeveloped sections of the society. His other major contributions includes initiatives in normal water facilities, micro-credit, and research work over the years. He was rewarded for his services towards the society by the honorary ‘Padma Bhushan’ award and also the ‘Businessman of the Year” in 2006. The most remarkable achievement of his includes that in the year 2009 he was enlisted as of the top 100 people of the most influential person in the world. 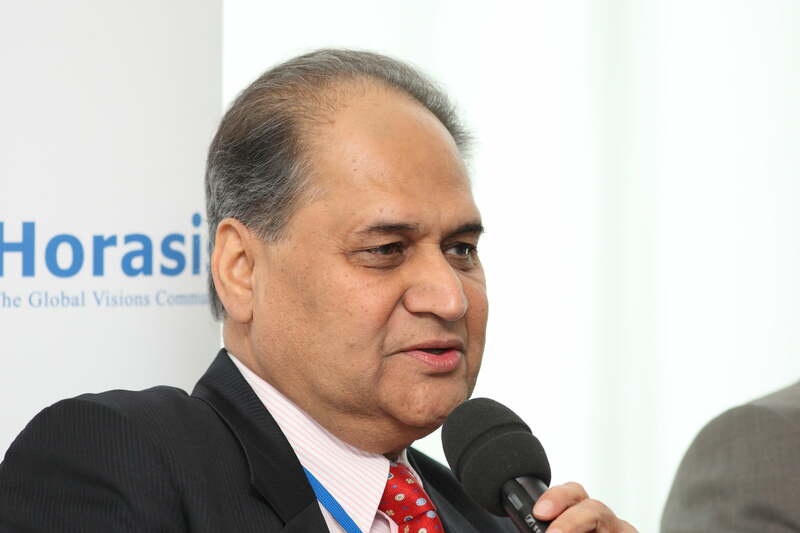 One of the 50 top richest person’s in India, Rahul Bajaj is the current chairman of Bajaj Automobiles, one of the leaders in automobile Industry in India. When he took-over as the chief-executive-officer at a young age, at that time no entrepreneurship was possible without prior approval from the Government but that could not stop him from going ahead with his mission. He simply elevated production volume simply by more than the authorized 25 percent his registered potential. Since he was producing such a product that was on demand by most Indians gave him the needed boost to take on such threat of huge potential loss. It was only due to his sheer hard work and efforts that Bajaj Auto is now the world’s fourth-largest manufacturer of two-wheelers, three-wheel automobiles, and motorbikes – India’s most typical types of transport. Bajaj group of companies also specializes in equipment for the home, lights, wind energy, special metal and stainless-steel, castings, cranes, forgings. Its companies also cover the following sectors: facilities development, content managing equipment, travel, common and insurance coverage and investment & financial services. Market capital of the group at present is over US $ 8 billion dollars. Mr. Bajaj is the significant contributor towards the remarkable change in the annual turnover of the company to a mammoth 46.6 million INR. His other achievements includes the “Padma Bhusan” that was awarded to him in 2002, also he was the member of International Advisory Committee whose financial matters was headed by New York Stock Exchange. He was also selected India’s Businessperson of the Yr (1985) by Business India. 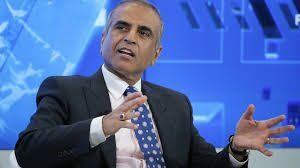 Founder of the Bharti Group of Companies, Sunil Mittal is a gigantic business icon that India has produced. Bharti is the largest telecom sector in India and not only that, it covers several industries namely financial, retail etc. However, Sunil’s journey was not a easy one. He did not belong to a family that inherited business, so practically he had no experience when he started his business career. More so because he came into this field at a time when the business sector was entirely controlled by the Greats like the Tata’s, Ambani’s and Birla’s. Therefore, he had to face several hindrances, which ultimately he overcame to reach the position that he has reached today. It was due to his sheer brilliance and continuous hard work he made the telecom sector of his own and created such a brand that Bharti Group of Companies is a leading company that runs in major countries in South Asia as well as Africa. Mr. Milltal was the one who launched a phone in India that works with a button push, after he witnessed the same in Tiwan. His company was the one who were engaged in producing fax machines, wireless handsets and other telecom accessories. He introduced Bharti Cellular Limited in Delhi, which started offering , which is today one of the biggest mobile network connections, “Airtel.” Sunil also made sure that by introducing these service providers the STD and ISD calls were brought down to considerable extent. Being a kind hearted person he is also engaged in several noble causes and his “Bharti Foundation” is continupusly working towards developing the weaker class. Mr. Bharti was the receiver of “Padma Bhusan” and “Businessman of the Year” in 2006. No doubt, he is the most able son of the Great Dhirubhai Ambani and that’s for sure. After his father’s demise, “Reliance Industries Limited” is in the right hands of Mr. Mukesh Ambani and he currently is the chairperson of the organization. His success can be measured by the actuality that “Reliance Industries Limited” is the second richest company in India by its share market value. When he completed his education Mukesh worked with his father and slowly with his passion and efficient work he spread the organization to multiple proportions and captured the markets of petrochemical ,telecom, retail etc. Under his reign,the planet’s biggest oil refinery was established in the city of Jamnagar in India. Mr.Ambani (Mukesh) is also the founder of “Reliance Communications Limited” which is one of the biggest Information technology endeavour. He also launched the “Reliance Jio” network recently which along with “Airtel” and “Vodafone” is one of the massive telecom networks in the world. In the year 2008, his organization purchased a domestic cricket team “Mumbai Indians”. What makes Mukesh special is the fact that he has not made huge for him but also for his employees as well. He is termed as one of the wealthiest personalities going around in the planet. As his work suggests he has received many prestigious awards, out of which includes the “Businessperson of the Year” award which he received in the year 2010 and was honoured at the 36th most influential and powerful people in the globe as per “Forbes”magazine in 2014. Without any argument, it can be easily said that at current date, Mukesh Ambani is the most influential and successful entrepreneur in India. Mr. Godrej is a famous personality and a well known entrepreneur who is the chairman of the renowned Godrej Group of Companies which also includes several other Indian companies as well. Not only that he is the chairperson of two other International companies as well. It was under the able leadership of Adi, that Godrej Group of Companies grew in huge proportions. Godrej has spread its root far and wide in FMCG products that includes, soaps, liquid detergents, hair color products and so on.The man developed new company procedures at a time when companies recognized transformation as troublesome and harmful. He designed an psychological link of both his personal and the team’s product picture with people by keeping conventional middle-class primary principles have stayed middle-class. From the starting, Adi as a business owner was very tech-savvy took special interest in technology adopting which helped his company. Godrej Group of Companies currently operates in two independent groups namely :“Godrej Industries Ltd.” and “Godrej & Boyce Mfg.Co.Ltd.” Apart from the FMCG products, Godrej operates in various other sectors that includes, construction, IT, furniture’s, medical care and so on. Till date his company has 470 million Indians as customers and more than 20% business functions abroad in more than sixty nations with an annual income of about 2.6 million US dollars. 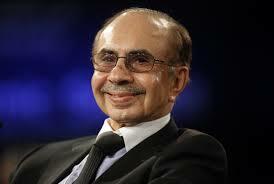 Adi Godrej is also actively involved in social welfare works and has received many awards and recognition’s acknowledgement. Mr. Patel is another most influential and successful entrepreneur in India who started his business career from a very grass-root level. He was born and brought up in a farmer’s family and had no business background whatsoever. As a result he faced several obstacles in his path but he refused to bow down and set entirely new trend of entrepreneurship. K.K Patel is famous for introducing the most popular detergent brand “Nirma.” At the earlier stages of his career Mr. Patel started a small business where he used to offer quality detergent but at a very cheap price. He never compromised for quality even though he was offering the material very cheaply.That was the journey of “Nirma’’ which was named by Mr. Patel in the name of his daughter “Nirupama”. Mr. Patel was never afraid of hard work, he started selling the detergent door-to-door at then a very cheap price at Rs.3/kg. Although the cheapest price of detergent at that time was Rs.13/kg. Slowly“ Nirma’’ brought a new revolution in the market and became the best detergent brand at that time. The formula that was used by Nirma at that time was free from any hard chemicals like phosphate and soon became a standard which all other detergent companies had to follow. Not only in the detergent segment but also in soaps ,Nirma captured a huge market. Because of Mr. Patel’s hardworking and non-compromising efforts he received many recognitions like the “Udyog Ratna”and “‘Outstanding Industrialist of the Eighties”. 8 Reasons why you should buy a home in a Gated Community? I was searchip for successful indian for my blog, found it and it’s great!